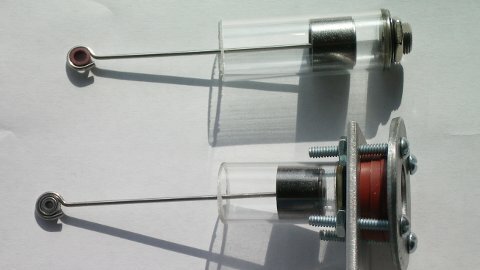 Welcome to my stirling engines site. 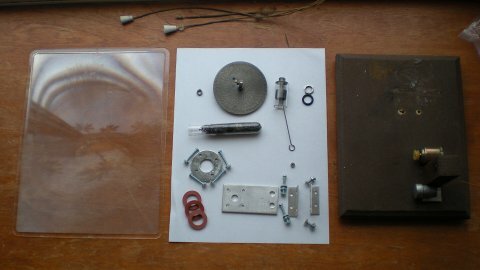 I'm making videos and web pages on Lamina Flow Stirling engines right now but this website is all about building anything. To see a list of all the videos I have made so far click on the tab. 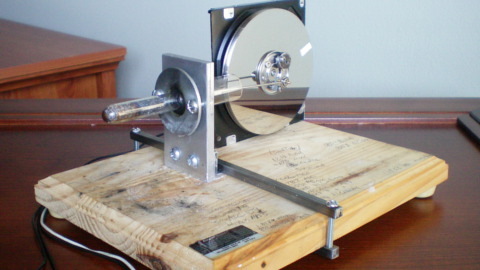 This is a Lamina Flow stirling engine generator in action. It only produces 8 milliwatts but it's a good start. This video covers all the parts I used to build the Lamina 2 engine. The lamina 2 engine is very similar to the Lamina 1 with just a few improvements. 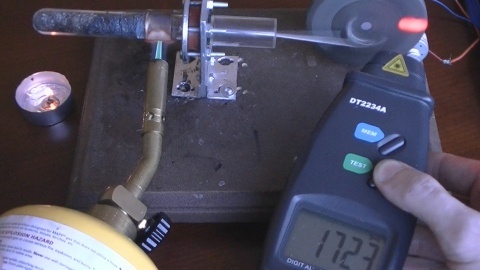 The lamina 2 stirling-like hot air engine reaches 850 rpm when run with a candle and reaches over 1700 rpms with propane. The magnet I used to balance the weight of the graphite piston flys off when the engine reaches 1723 rpm! This video is about the most important part of a lamina flow or stirling engine and shows some of the piston cylinder sets I've used. This is a 2 part video that gives every dimension imaginable for the Lamina 1 engine. This is mainly just the lamina flow engine plans, not much info on construction techniques. 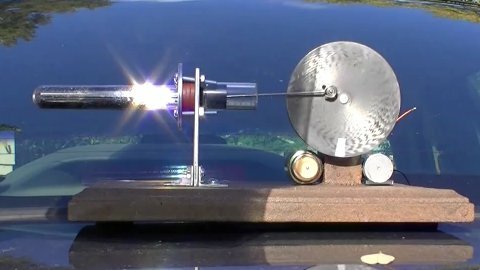 To see the Lamina 1 being powered by solar energy check out the Lamina 1 - Solar Powered Lamina Flow Stirling Engine video. This is a demonstration video showing the Lamina 1 in action. This engine will run off of a candle, propane, alcohol, or even the sun. 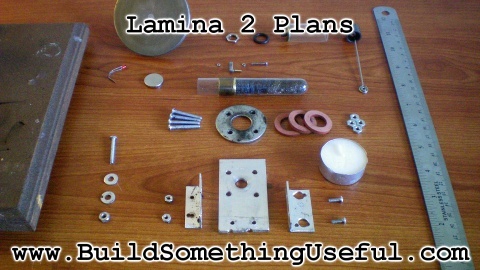 For the plans on how to construct this motor yourself check out the Lamina 1 Plans video.